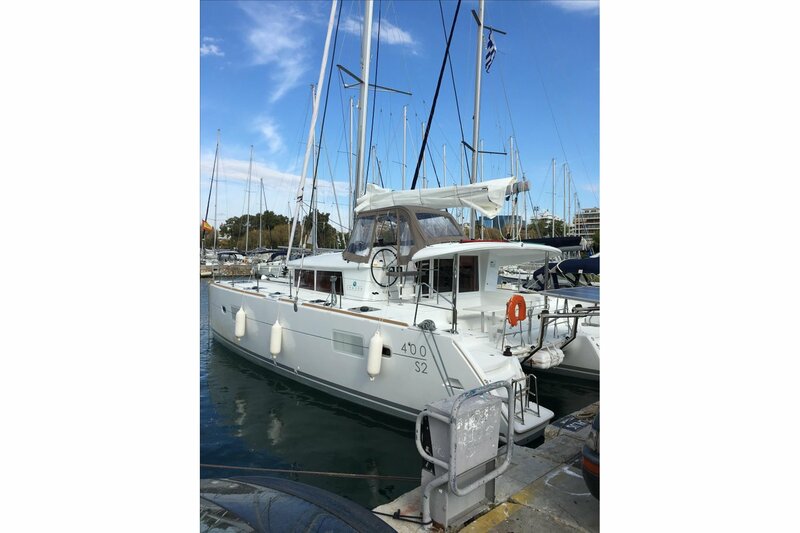 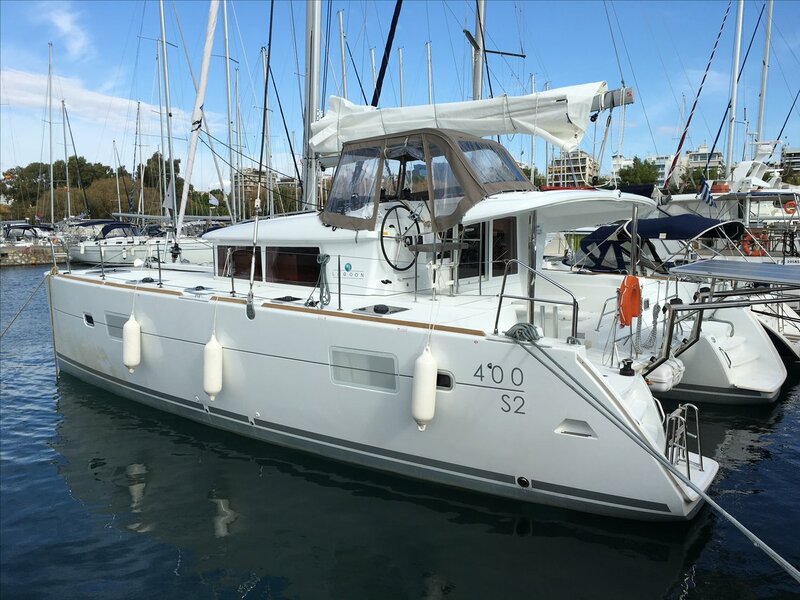 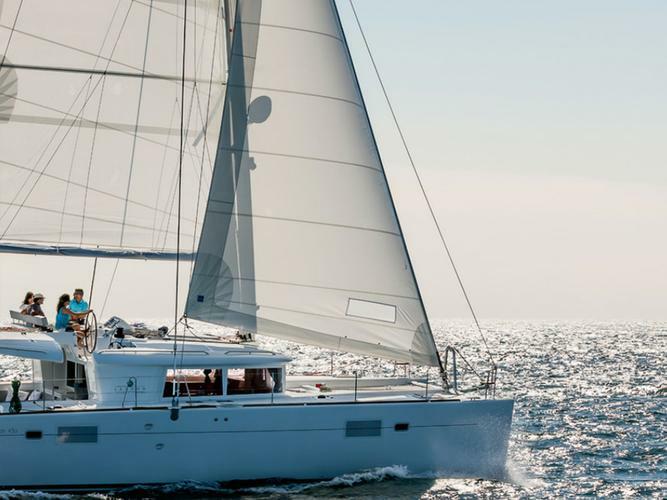 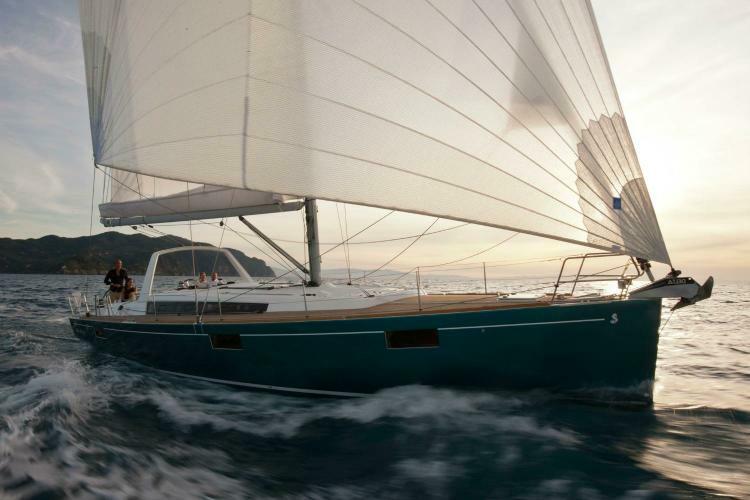 The Lagoon 400 S2 is a great choice for a group looking to get away in Greece for the week. 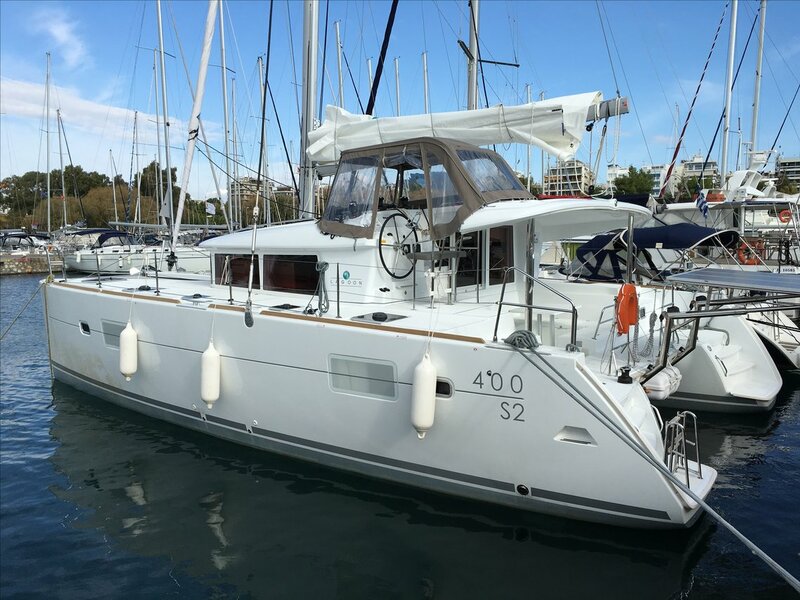 She has a warm interior with four double-bed cabins. 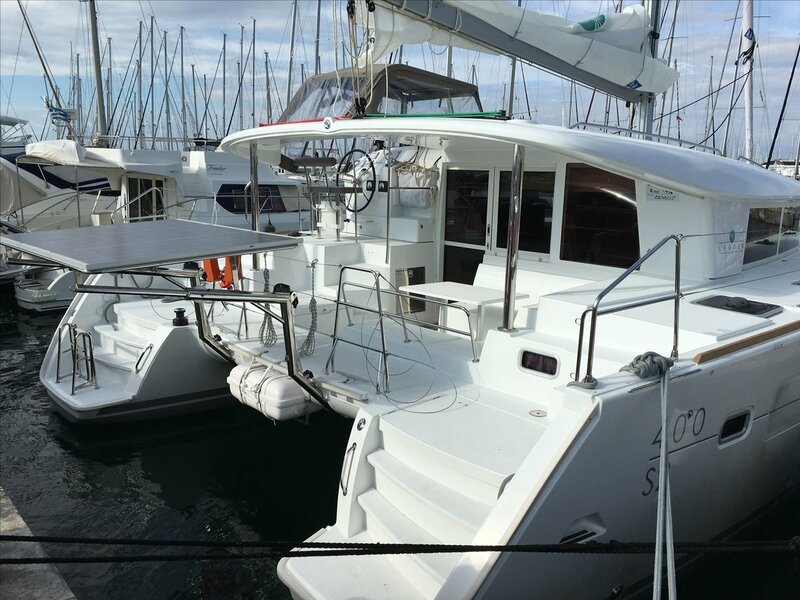 The saloon has a large eating area, and near-360 degree views of your surroundings. 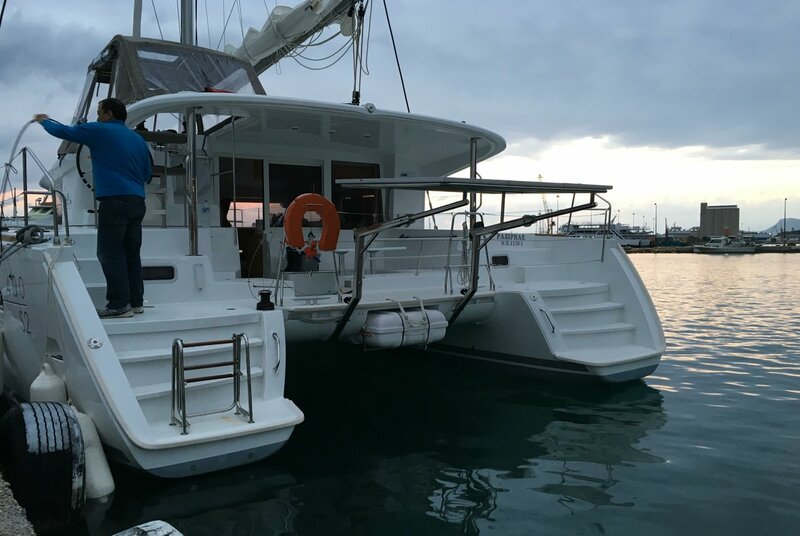 The side-decks are wide which allows for easy movement to the bow, and the aft cockpit has ample space for evening cocktails. 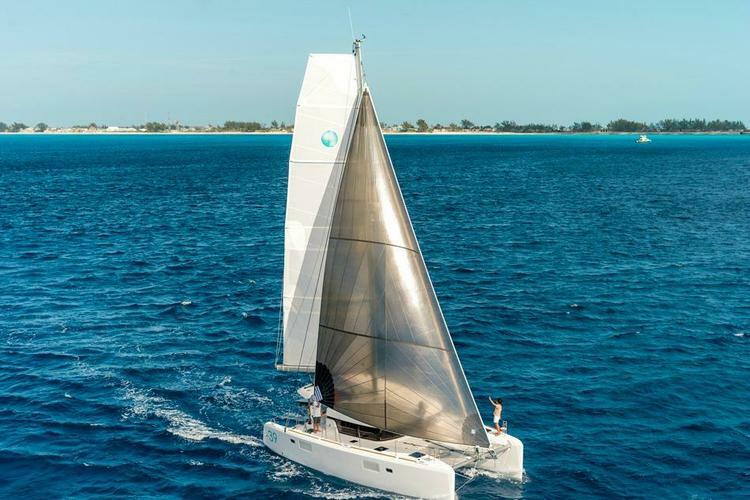 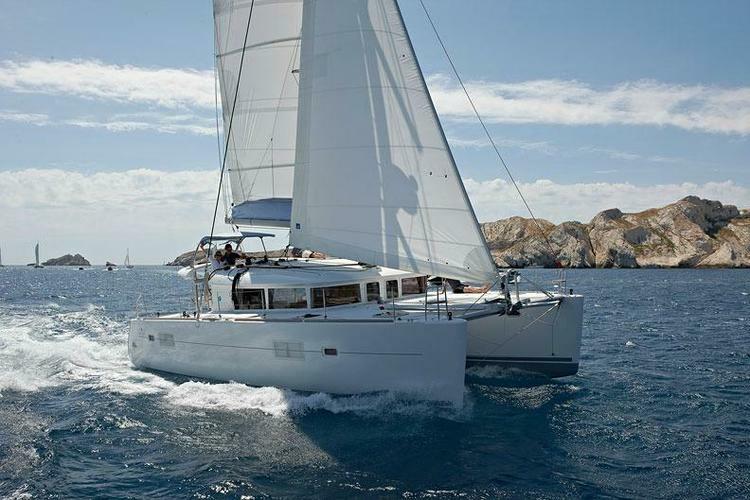 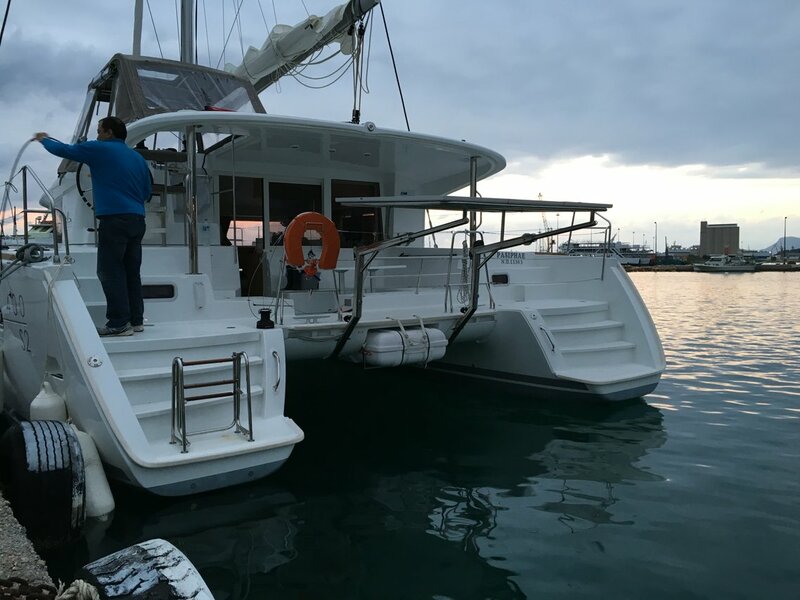 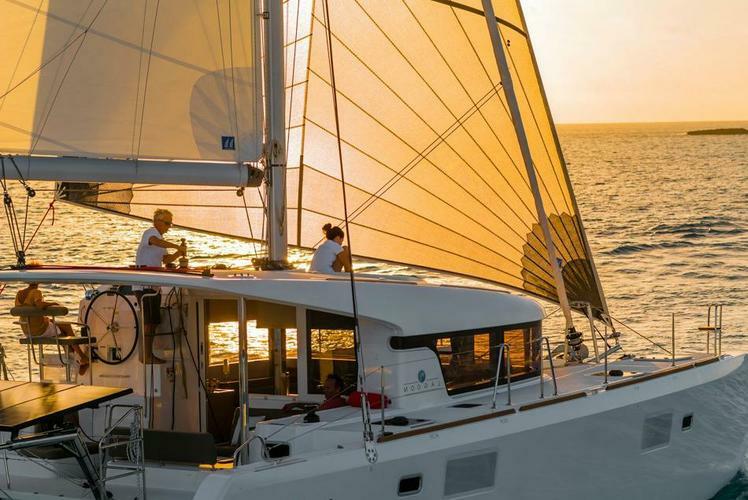 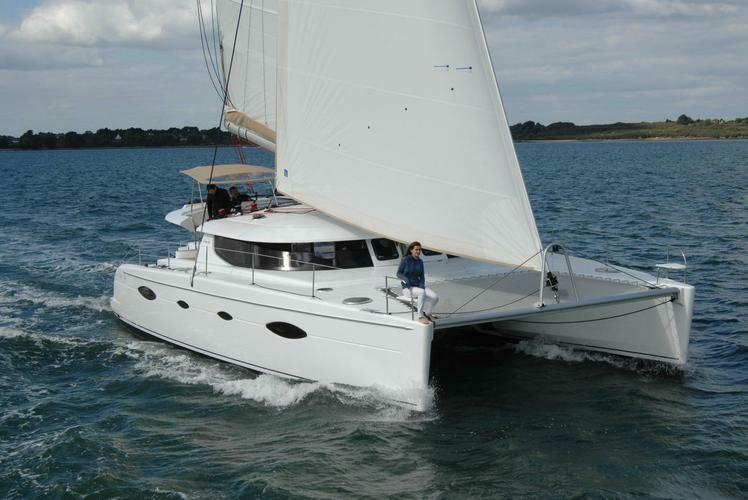 Don't miss out on this beautiful catamaran for your next sailing adventure!